I have this running list that I keep on my computer. Well, there are two lists, actually. 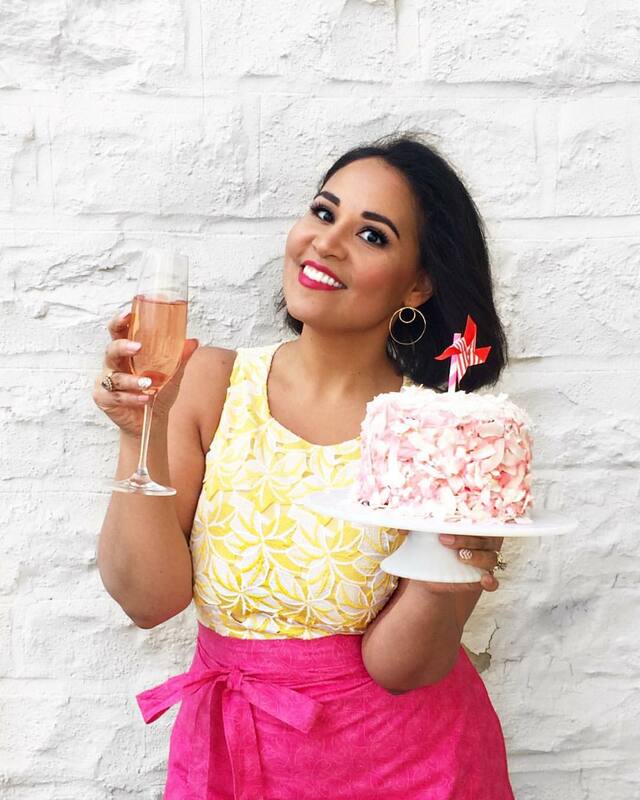 The first contains dishes and ideas I'd like to play around with: recipes from books, new ingredient combinations, things I ate at restaurants that I want to recreate, etc. When I get an idea, I add it to the list and then revisit it when I'm feeling kind of stuck and uninspired. The second is a list of things I actually make regularly: The random Tuesday and Wednesday night dinners and Sunday breakfasts. The snacks and drinks that I make again and again, often without thinking, in between running out to meetings or the gym or any of the myriad activities that fill up a week. These shrimp have been on that list for a while. They are so simple and contain such few ingredients that making them barely requires any effort on my part. I start with the shrimp, usually purchased frozen and cleaned so all I have to do is thaw. The marinade is just fresh lime juice, olive oil, black pepper and ground coriander, and because seafood takes only a few minutes to marinate, the whole dish is ready not long after you realize you're hungry and should cook something. And then, there is the chorizo, which I suppose is not really an essential part of the dish, but I just love it. 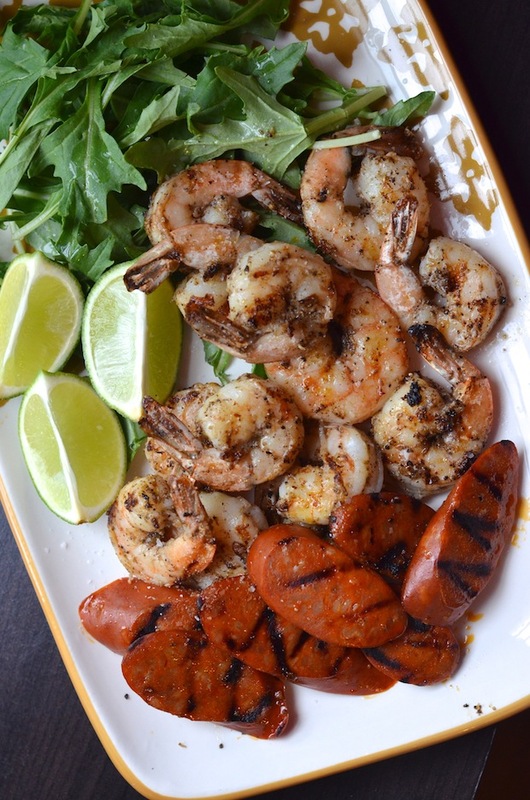 The combination of the spicy, slightly sweet shrimp and the fiery, savory chorizo is perfection in my book. This is one of those easy and satisfying summer meals everyone should have in their repertoire. You can personalize it by serving over rice or quinoa, or keep it simple and serve along with a pile of mixed greens. And if you have friends coming over, it's also a great dish to serve as an appetizer along with a bottle of crisp white wine or your favorite summer cocktail. Here's to the long and lazy days ahead! 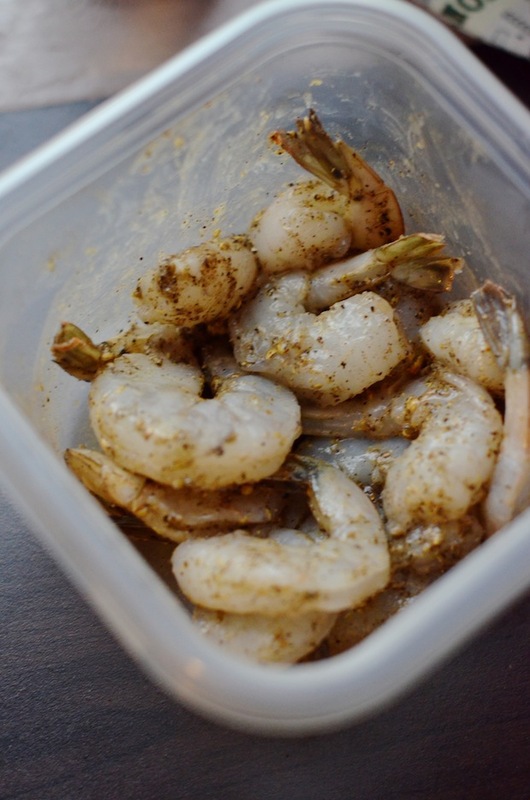 In a large bowl, toss the shrimp with the olive oil, lime juice, black pepper, salt, and coriander until evenly coated. Let sit 5 minutes. Grill the chorizo about 1 minute per side, until heated through and slightly charred (the chorizo is already fully cooked).